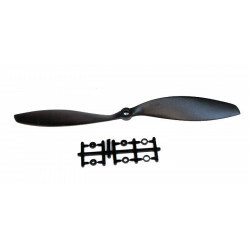 Slow Fly 11x4.7 SF PropellerA thin lightweight Slow Fly style propeller 11x4.7 SFComes with motor sh.. 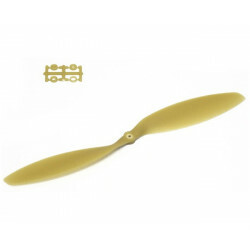 Slow Fly 12x3.8 SF PropellerA high Quality Propeller with uniform molding made only using high..
Composite propeller for electric models.Hub use with pressed-in locating rings (included)Size: 14x8 .. 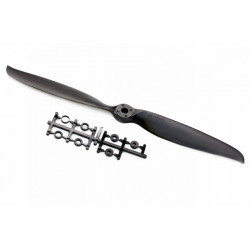 Precision Folding Propeller 12x6.5 (pair). 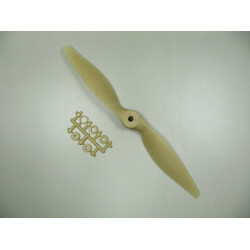 Well Balanced and precision molded. 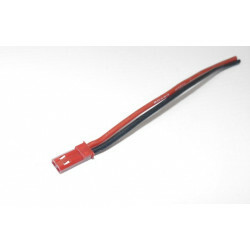 Precision Folding Propeller 10x6 (pair).Well Balanced and precision molded.10x6 (25.5x15cm).Root siz..
Mini JST (BEC) with Lead MaleMini JST connector with 10 cm of 20AWG cable for use with smaller lipos..
Inline JST Switch Kit for RC models.JST switches and connectors provide an unobtrusive solution to p..